The Hawaii State Art Museum is the perfect place to spend a Saturday afternoon or any afternoon, really. 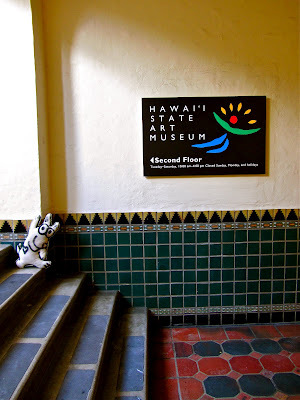 It's in downtown Honolulu on the site of the first hotel in the city. It's also on the National Register of Historic Properties. Park at St. Andrew's Cathedral across the street, it's very reasonable! Everywhere you Look there's Art!